This book is a comprehensive introduction to the Java programming language, updated thoroughly (more than 35ew and updated) for the latest SDK 1.5 release. This book shows readers how to build real-world Java applications using the Java SDK. No previous programming experience is required. 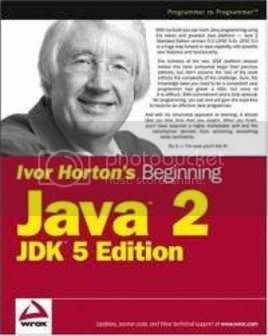 The author uses numerous step-by-step programming examples to guide readers through the ins and outs of Java development. In addition to fully covering new features of SDK 1.5, such as generic types, the author has also added new chapters on Java database programming with JDBC and Java programming with XML.